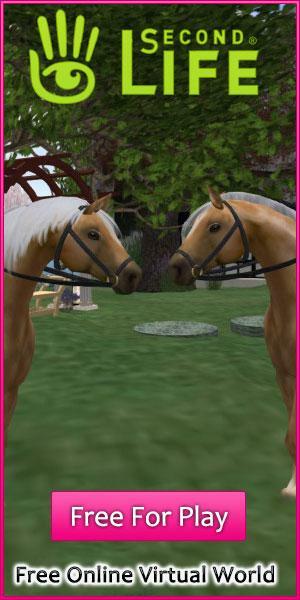 What Makes Pet Based Virtual World Games Enjoyable Article - Virtual Worlds Land! Rate this Article Pet based virtual worlds are no doubt some of the most addictive and engaging games that we’ve ever had the pleasure of experiencing over the years. In this article we’ll be talking about why these games are so enjoyable and why we like them so much. Pet based virtual worlds are no doubt some of the most addictive and engaging games that we’ve ever had the pleasure of experiencing over the years. In this article we’ll be talking about why these games are so enjoyable and why we like them so much. Perhaps the biggest strength of pet based virtual worlds is the fact that their gameplay has a lot of distinct features that you usually don’t find in most run-of-the-mill virtual world games. Players get to keep their own pet, explore the beautiful game world alongside it, take care of it and do a whole lot of other fun things. The aspect of pets adds a lot of depth to these games and this is why they’re so much fun. One key reason behind the insane popularity of pet based virtual world games is the fact that they’re quite easy to get into. Most modern day virtual world games are filled to the brim with features and because of this they’re rather difficult to get the hang of but, fortunately, this isn’t the case with pet based virtual worlds. Almost all pet based games utilized simple and straightforward gameplay mechanics and don’t try to overcomplicate things at all which is why they attract quite a lot of casual players. Pet based virtual world games also have a lot more social features than pretty much any other game genre out there and this helps make the experience a lot more immersive. When playing these games you’ll be allowed to do a ton of socializing like chatting with other players, inviting others and their pets to play mini-games with you, exploring the world alongside friends and more. Pet based virtual world games might have a low skill floor that makes them really easy to get into but at the same time it’s worth mentioning that they have a high skill ceiling as well which makes them great for competitive audiences. Most noteworthy pet based virtual world games salt feature a lot of competitive events in which players can enter their pets to participate against the pets of other players from around the world. The competitive events in these games are quite thrilling and often times they feature massive prizes for the winners. The visuals of pet based virtual world games are also extremely appealing to look at. Almost every single game in this genre utilizes a cartoon-ish art style and this art style is then coupled with a bright color palette to make for some extremely vibrant and immersive visuals. Other than just the top notch art style, these games are also usually filled to the brim with a lot of extremely high quality animations and sound effects that make the experience all the more immersive. All said and done, the aforementioned reasons are why we believe that pet based virtual worlds are so enjoyable. Needless to say, we recommend giving them a shot whenever you can because they simply do not cease to impress.